A veteran cosmonaut, a German volcanologist and a Navy test pilot-turned-astronaut whose mastery of social media earned him — and NASA — a global following, undocked from the International Space Station and returned to Earth Sunday, descending through low clouds to a jarring parachute-and-rocket-assisted touchdown on the frigid steppe of Kazakhstan to close out a 165-day stay in orbit. Despite freezing weather that hampered recovery crews earlier in the day, the Soyuz TMA-13M spacecraft, carrying commander Maxim Suraev, ESA astronaut Alexander Gerst and NASA flight engineer Reid Wiseman, landed on target near Arkalyk, Kazakhstan, at 10:58 p.m. EST (GMT-5; 9:38 a.m. Monday local time), three-and-a-half hours after the trio undocked from the orbiting lab complex. 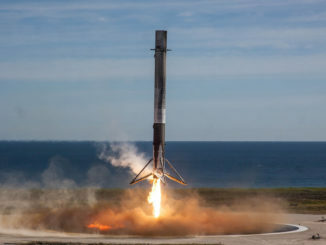 Touchdown marked the end of a 5.3-month mission spanning 2,640 orbits covering more than 70 million miles since launch May 28 from the Baikonur Cosmodrome in southwest Kazakhstan. The Soyuz descent module tipped over on its side after touchdown, pulled over by its parachute. 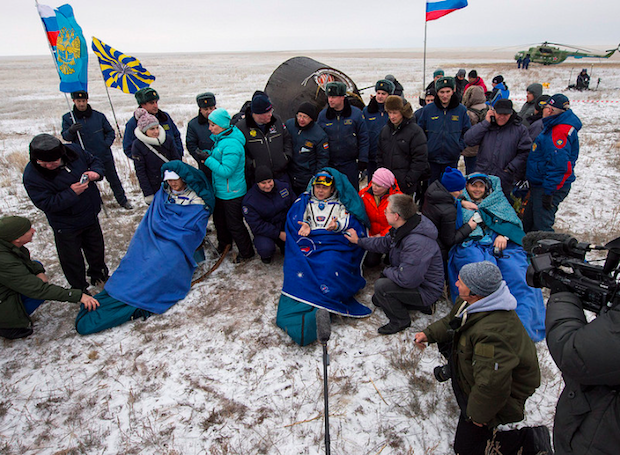 It took recovery crews about a half hour to get Suraev, Wiseman and Gerst out of the charred entry craft, carrying them to recliners set up nearby and covering them in thick blankets to ward off the cold. All three appeared relaxed and in good shape as the smiled and chatted with flight surgeons, technicians and assorted space agency officials. After brief satellite phone calls to friends and family, the station fliers were carried to an inflatable tent for routine medical checks. After that, the crew faced a two-hour flight to nearby Kustanai for a traditional Kazakh welcome-home ceremony. Suraev then planned to board a Russian jet for a flight back to the Gagarin Cosmonaut Training Center in Star City near Moscow. A NASA jet was standing by to ferry Wiseman and Gerst to Prestwick, Scotland, where Gerst will change planes for a flight to Europe. The NASA jet will take Wiseman and his contingent back to Houston. Left behind in orbit were Expedition 42 commander Barry “Butch” Wilmore, Alexander Samokutyaev and Elena Serova. They will have the station to themselves until Nov. 23 when Soyuz TMA-15M commander Anton Shkaplerov, NASA astronaut Terry Virts and European Space Agency astronaut Samantha Cristoforetti arrive to boost the station’s crew back to six. 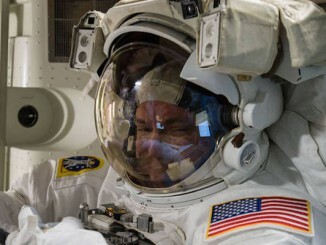 Wiseman became a rock star of sorts during his stay in space, using Twitter, six-second Vine videos and other social media avenues to share his experiences — and spectacular views of Earth — with a wide audience: 361,000 followers on Twitter alone. Both men downlinked scores of Earth scenes, many of them spectacular views of towns, cities, mountains and other striking features. “I think the biggest thing I’ll take away from this is watching our Earth change over the six months I’ve been up here,” Wiseman said, “watching the weather patterns change, seeing summer, fall and now into winter, it really makes you realize we don’t just live on Earth, Earth is just a part of all of us. I really love looking out the window at that. He’s also looking forward to simply sitting down. The trip home began at 7:31 p.m. when the Soyuz TMA-13M spacecraft undocked from the space station’s Rassvet module as the crew sailed 260 miles above northern China. After moving a safe distance away, Suraev monitored a four-minute 41-second rocket firing starting at 10:05 p.m. to slow the ship by about 286 mph, just enough to lower the far side of the orbit deep into the atmosphere. After a half-hour free fall, the three modules making up the Soyuz spacecraft separated and the crew, strapped into the central descent module, plunged back into the discernible atmosphere around 10:35 p.m. Using atmospheric friction to slow down, the descent module reached an altitude of just under 7 miles at 10:44 p.m. when the main parachute was expected to deploy. Touchdown followed about 15 minutes later. During his stay aboard the station, Wiseman participated in two spacewalks, venturing outside with Gerst on Oct. 7 to move a pump module and again on Oct. 15, with Wilmore, to replace a solar array electronics component. 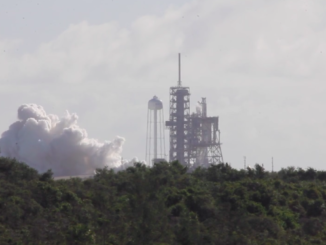 He and Gerst also carried out a full slate of science experiments, performed routine maintenance and participated in numerous interviews and videochats with reporters and students. Near the end of his stay in space, two dramatic failures sent shock waves through the commercial space industry. An Orbital Sciences Antares rocket carrying a cargo capsule bound for the space station exploded 15 seconds after launch from Wallops Island, Va. on Oct. 28. Three days later, Virgin Galactic’s SpaceShipTwo rocket plane broke apart during a test flight over the Mojave Desert, killing one pilot and injuring another.